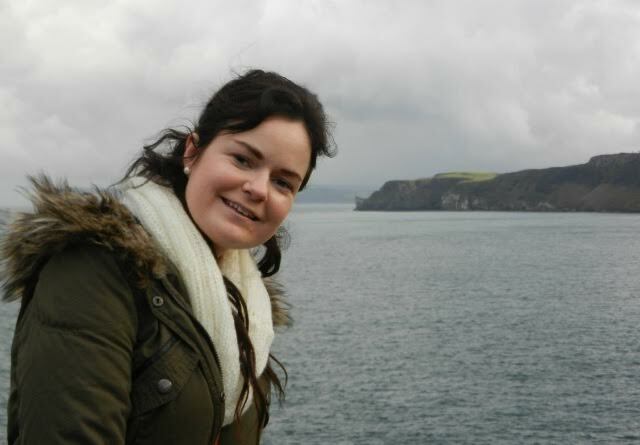 It is hard to believe a year has passed since a tragedy so hard to bear struck in to the hearts of Ireland and Scotland with the murder of a young innocent woman, Karen Buckley. Karen, 24, from Mourneabbey, Co Cork, had been out enjoying a night socialising with friends at a Glasgow nightclub when she met and was murdered within around just 20 minutes by killer Alexander Pacteau. Today Karen’s friends and classmates from Glasgow Caledonian University’s School of Health and Life Sciences, will join together to pay their respects to her a year after a murder that rocked two nations. An anniversary mass is also due to be held in Mourneabbey on Friday. Karen, who had started studying occupational therapy at the university in January, only three months before she was killed – had proved so popular, she had made a steady stream of friends in Glasgow in a short period of time. She had gone out at 11.45pm on April 11 last year but by the early morning of April 12, her friends discovered she was missing. Karen met Pacteau just after 1am on April 12 and had trusted him to give her a lift home. Tragically the 21-year-old killer drove only a mile away from the Sanctuary nightclub and pulled up for just 12 minutes before attacking and killing the young student. Pacteau then went on to lie about Karen, claiming she had gone home with him and then left while her family were forced to hear sordid untruths. Finally on April 16, the family were told human remains had been found at High Craigton Farm near the city. On April 17 Pacteau appeared before Glasgow Sheriff Court and was charged with murder. Ireland and Scotland joined together in grief and held combined vigils after the murder. This is an act of love that will be repeated again today in Glasgow and in Ireland on Friday. Last September former private schoolboy Pacteau was sentenced to a minimum of 23 years. Less than one fortnight later and the killer showed his continuing callousness towards the memory of Karen launching an appeal. In an incredibly brave move after Pacteau was sentenced for the murder of his daughter, father John Buckley described the killer as “truly evil” and added that he hoped he would spend the “rest of his life behind bars”. John added: Karen was a normal 24-year-old girl – very kind, always smiling, always happy, the youngest of four, our only daughter, and our baby. Just like her brothers she was so genuine, so caring. She loved life. Karen, who had also studied in the nursing college in Limerick, had originally left Ireland to work at the Princess Alexandra Hospital in Harlow, Essex. She was John and Marian Buckley’s only daughter and sister to older brothers, Brendan, Kieran and Damian.